How Do You Give Proper GPL Attribution? GPL attribution is one of those tangential topics to a lot of the GPL discussion around WordPress (which I’m not interested in discussing here). How do you give proper GPL attribution when using someone else’s work in your work? Case in point: Let’s say someone is building a theme and wants to bundle some code you’ve written (and it’s available on GitHub) and is trying to attribute it properly to you? First, this is something that someone was kind enough to ask me when working on a project of his own. Second, I think it’s a great question as it’s something we should all know how to answer since much of our work is likely using other third-party, open source libraries. Obviously, irrelevant sections were removed to keep this concise. First, the remarks above are for GPL-3.0. 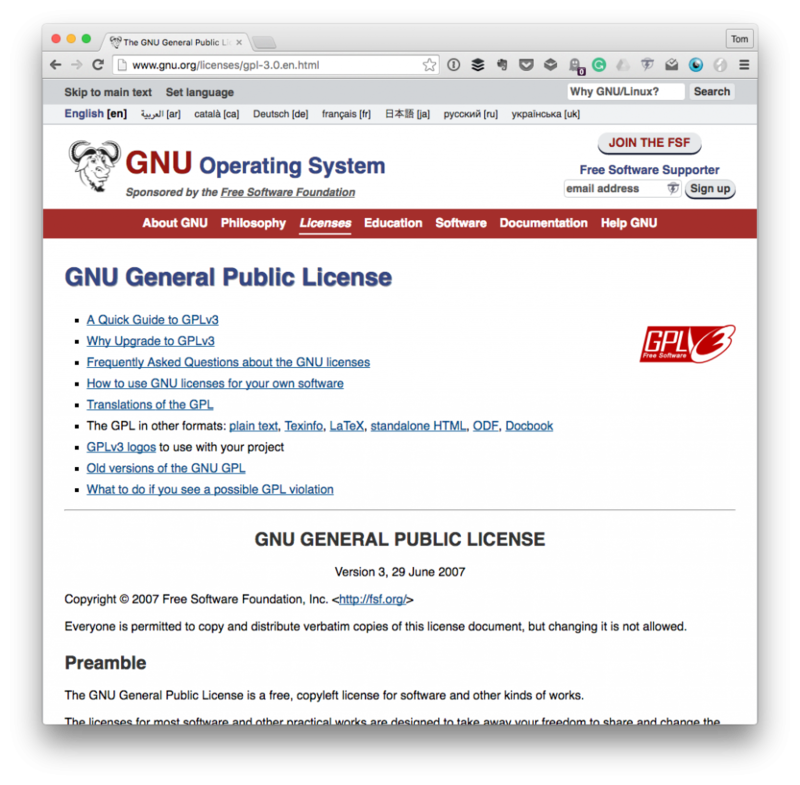 This is important as WordPress is licensed under GPLv2 or later. Secondly, it’s also my understanding from reading the documentation that you can’t really require a person to provide attribution. This is where it starts to get into a legal territory, and I am not a lawyer. Not even close. So though a debate may ensue as to whether or not you must include a license is different than if you ought or ought not to include a license. If it’s that much of a dilemma for you, then I recommend consulting a lawyer. However, I’m of the mind that if you use code from a third-party library that’s also licensed under the GPL, it’s respectful and shows integrity to give attribution where it’s due. And while we’re speaking of attribution, this is also from a longstanding answer on Stack Exchange. Ultimately, any discussion about this should be why you ought or ought no to give attribution and proper ways to do it. I’m not necessarily interested in having a debate over the license itself, and I’ll likely be moderating comments that stray far off topic. Nonetheless, for those who are curious as to how to give proper attribution, I hope this helps (and I hope any additional comments help, as well). Is there a way to keep the attribution in a minified file? There are a couple of ways to do it, but it largely depends on what type of minificiation you’re using. Another alternative to mention it in a README or similar file and then list the files that you’re using.